Every diver knows that when you are in a cave, your source of light is your main means of communication. Diving lights come in various forms and among them is the primary dive light. This one is supposed to be very bright with a long lasting battery. The more power it offers the better for the cave diver. The secondary dive light, on the other hand, is more lightweight and compact and is the back-up just in case the primary light fails. When looking for commercial cave dive lights you should go for lighting with a tight beam for more control, the ability to look into dark, small areas, and to prevent whiteouts. You will also require a strong and central beam that will be quite helpful when you need to signal and see what is happening down the long tunnels. Commercial cave diving also requires some light that spills out around the central beam so that you do not hit any walls beside you. A Light Monkey 12 watt LED or Dive Rite LED can be helpful in such instances. The ideal commercial cave light is made using Xenon (incandescent), LED (light emitting diode) or HID (high-intensity discharge) lights. While Xenon dive lights are quite affordable, they do not offer the brightness of the HID or LED lights. Their lamp, however, provides a warm natural color unlike the bluish colors of HID and LED. On the other hand, HID and LED lights offer energy efficiency, brightness, and longevity. The new type of LED lights is more durable and robust as compared to the HID models. You will have to analyze your needs to get the best model for the kind of work that you have in mind. Any cave diver will be concerned by the beam angle as well. 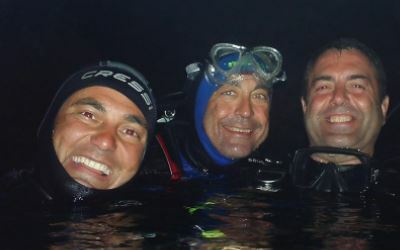 If you will be engaged in night diving, a dive light with a wider beam angle can be ideal for maximum lighting. People who need tight bright spot beams for looking under ledges and crevices can look for a dive light with a smaller beam angle. Yet ideally, cave divers should carry both types on their dives.